The Wood Golems lurk against their own will. Then ripped from the ground by a noose made it worse. They aren’t quite certain just why they’re here. They’ll devour the hearts of lost folk they confront. When all they really want is to go back to sleep? 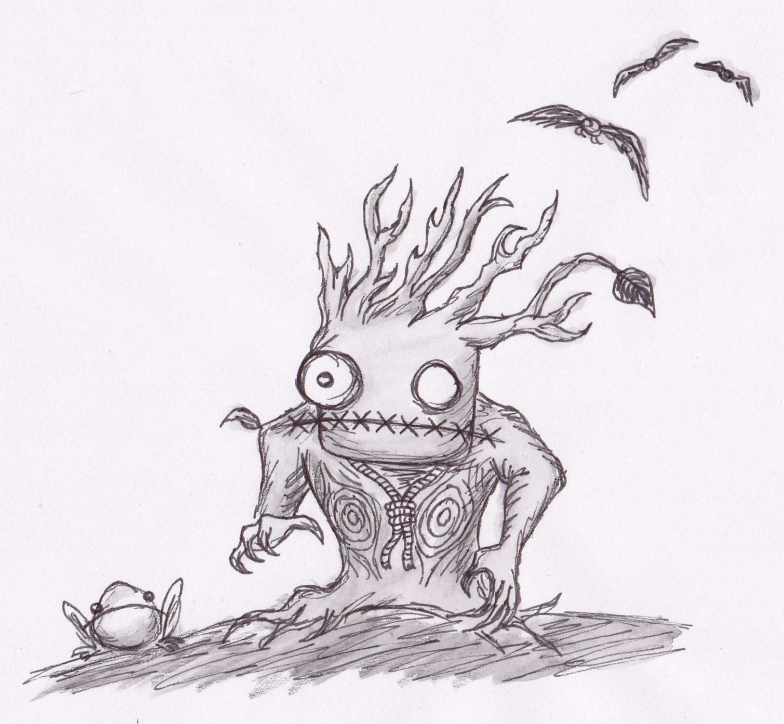 Mindless and sinister, the Wood Golems are a major antagonist to the residents of Tenebrae Manor. Despite their cumbersome movement and awkward appearance, they are deadly when given a chance and parasitic to boot – the Wood Golems have been vastly increasing in number, threatening to overrun Tenebrae Manor. If left uninhibited, it won’t be long until the manor is destroyed beyond repair and left no more discernable than the ocean of trees that surround it.